What defines a beautiful smile, and how can you achieve one? 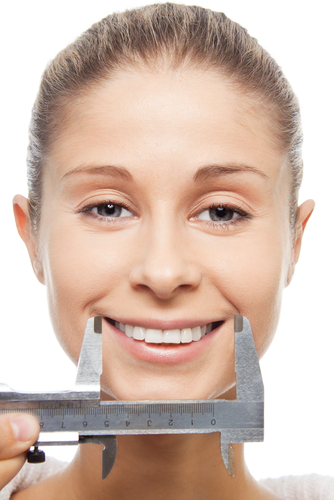 An average or less-than-perfect smile can be enhanced with cosmetic dentistry. During a smile makeover consultation, your cosmetic dentist will evaluate the shape of your teeth, the size, the texture, and the color. Dr. Jeffrey Allen is an experienced and trained cosmetic dentist offering a variety of minimally invasive, highly affective cosmetic treatment. Veneers: To repair chipped, stained, crooked, gapped, or crowded teeth, Dr. Allen may suggest porcelain veneers. These custom-made porcelain shells adhere directly to existing teeth. Placement of porcelain veneers customarily takes two appointments. During the first appointment, impressions are taken and teeth are shaped and prepared for the veneers. At the second appointment, teeth will be cleaned, polished, and the veneers will be bonded to the teeth. Bonding: Bonding can close gaps between teeth and lengthens small or misshapen teeth. In one appointment, Dr. Allen can apply a resin directly to the teeth to improve the size and texture. A low-intensity light hardens the resin after the desired shape is achieved. Whitening: Teeth-whitening is the most common cosmetic dental procedure. Dr. Allen offers home teeth whitening systems. The home system lightens and brightens teeth with a specially formulated whitening gel and a customized whitening tray. The gel and tray should be worn for a few hours each day. Home whitening systems allow you to gradually whiten your teeth, but ultimately result in whitening of 8-10 shades – the same results you’d see with a one visit whitening system. If you feel your smile is less than beautiful, contact Dr. Jeffrey Allen, a Pella, IA cosmetic dentist at (641)628-1121 to schedule a smile makeover consultation. I perfect smiles for residents of Pella, Oskaloosa, Monroe, Newton, and surrounding areas. 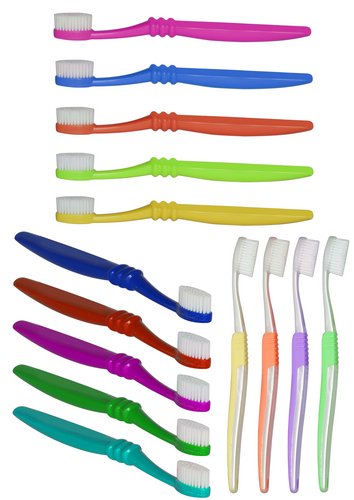 Most people choose a soft-bristled toothbrush because the bristles are more flexible and can bend easily and reach areas where food and plaque hide. Soft bristles also brush the area without cutting or bruising the gums. Since April is Oral Cancer Awareness Month, this is a great time to schedule an oral cancer screening. 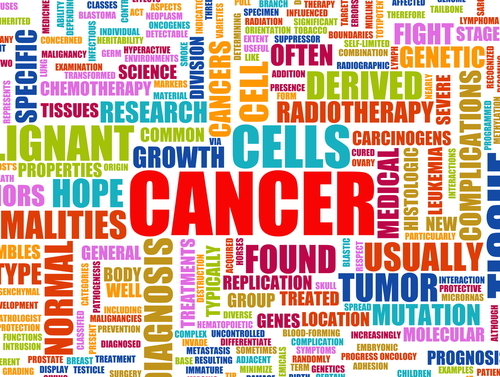 Research shows that approximately 7,900 people die from oral cancer each year. Ninety percent of people diagnosed with oral cancer have used some form of tobacco. Other risk factors for oral cancer include: heavy alcohol use, sun exposure, human papilloma virus (HPV), and untreated severe periodontal disease. Found and treated early, survival rate increases dramatically. Prior to your examination, remove any dentures or partials. Your neck, face, lips, and mouth will be inspected for visible signs of cancer. Your throat, jaw, and neck will be felt for any lumps. The inside of your lips and cheeks will be examined for red or white patches that may indicate cancer. You will be asked to stick out your tongue so that the healthcare provider can thoroughly check the top, sides, and underside for abnormal texture, color, or swelling. Additionally, the roof, floor, and back of the mouth will be examined. The examination will conclude with your healthcare provider gently placing one finger on the floor of your mouth and using the other hand to apply pressure under the chin to check for sensitivity or lumps. If you notice any abnormalities prior to your regular visit, contact me, Dr. Jeffrey Allen, a Pella, IA family dentist. I provide cosmetic, preventive, and restorative services to patients in Pella, Oskaloosa, Lynnville, and surrounding areas. Call my Pella dentist office today at (641)628-1121 to schedule an appointment. 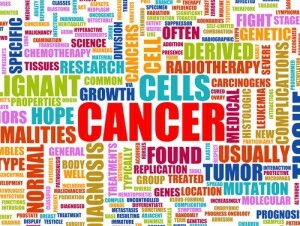 Remember, early detection and treatment lead the battle in fighting oral cancer. During your trip to the store, you may have noticed the large variety of both toothpaste and dental floss. When choosing dental floss, which style to choose is simply a matter of preference. A study conducted by periodontists at University of Buffalo found that nylon waxed dental floss and Teflon floss (wide, plytetrafluoroethylene floss) yield the same results on oral health: they both remove food particles and plaque. Recently, researchers conducted a study that found elderly people who lose their teeth may have an increased risk of developing dementia. The study included more than 4,000 participants, ages 65 and older. Participants in the study underwent a psychiatric assessment and dental examination. 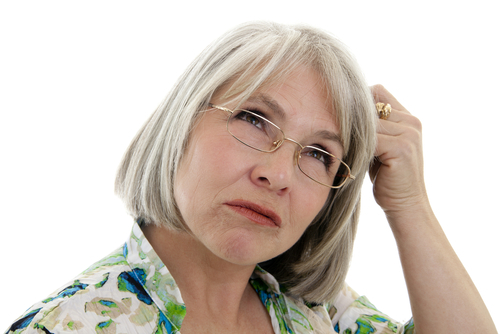 Those who had few or no natural teeth experienced some memory loss or had early-stage Alzheimer’s disease. Many of the patients stated that they rarely visited the dentist. Have you looked in the mirror and really studied your teeth? Have you decided that you need cosmetic work? I’m Dr. Jeffrey Allen, a Pella, IA, family dentist, and I would like to assist you in reaching your cosmetic goals. Prior to your consultation with me, I want you to identify what you like and dislike about your smile. The following quiz will guide you in determining what changes you would like to make and what results you seek. 1. What color best describes your teeth? 2. Which term best describes the position of your front teeth? 3. Which adjective describes the shape of your front teeth? You strive to keep your teeth healthy throughout life. However, sometimes dentures become necessary. In the same sense that you want to maintain your teeth for a lifetime, you should also maintain the longevity of your dentures. Dentures, like your teeth, need proper care to ensure that they last. 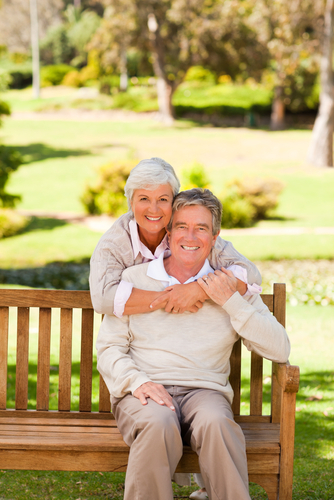 Caring for your dentures also protects oral health. I’m Dr. Jeffrey Allen, a Pella, IA, family dentist, and I would like to give you some tips on caring for your dentures.